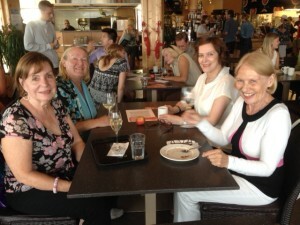 25 “Friends of New York” gathered at Café Carusel in Helsinki on the last day of July during the hottest summer in Finland in 50 years… Talk about global warming! Former FCF volunteers and interns, relocated American expats, Finns returned from years in New York, and other fans of New York rekindled old friendships, exchanged news, and got current information in Finnish about FCF’s Kota Project. Many others sent messages saying they were still at their summer cottages recharging those batteries that keep us going through the long winter! Seems like this event still has its place in our summer calendar! On the front: Kaarina Ederman, Anu Arponen, Meritta Koivisto, and Eeva Pinomaa. 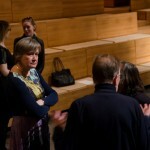 In the background: Roope Marttila, Keith Davis, Elisa Ranta, Eila Kaarresalo-kasari, and Heikki Kasari. 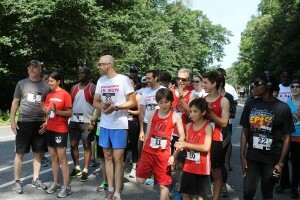 The annual 5K Run is back again! It’s 10 a.m. on Father’s Day. There’s a sight one doesn’t see very often at Prospect Park, Brooklyn: the Finnish flag, waving in the warm summer wind. Around the flag there are Finns, who live in the area of New York and locals, who have Finnish relatives. There are people, who just happen to like the Finns and the Finnish culture and also some people, who know nothing about Finland, but who still want to participate in the Finland Center Foundation’s Midsummer 5K Run for charity. Five kilometers is run in sunny weather. The age difference between the first and the third crossing the finish line is approximately 37 years, which really portrays the nature of the event. After the race participants enjoy Nordic Breads’ Finnish Rye Bread sandwiches covered with Finlandia cheese. The prizes for the top three of men’s and women’s series were gift cards sponsored by Marimekko and Karhu, and also a book by Leena Lehtolainen. 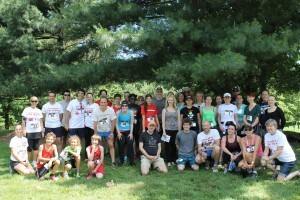 All 34 runners received a t-shirt, Lumene and L’Oreal cosmetics and discount coupons for New York Running Company and Karhu. The gift card for Sockerbit was also raffled among the runners. 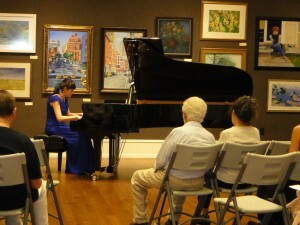 On August 7, Finland Center Foundation presented Pianist Viktoriya Papayani at the Salmagundi Club . 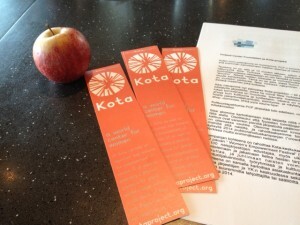 There was a pre-concert reception for donors supporting FCF’s Kota Project http://kotaproject.org/ … The Kota Project is an initiative of FCF to establish a World Center for Women in New York City as a hub for nonprofit organizations that work towards women’s empowerment. The Club has remodeled some of the rooms including the upper floor main gallery; a nice venue for tonight’s recital, surrounded by artwork while listening to her lovely recital: Tchaikovski’s The Seasons; Beethoven’s Rondo a Capriccio in G Minor, “Rage Over a Lost Penny”; Debussy’s Valse Romantique and L’isle Joyeuse; plus five works by Chopin after intermission, quite an impressive program… The piano is brand new; this being its second usage, some glitches hadn’t yet been worked out, a noisy pedal among them, but that did not distract from enjoying the performance; highlights were Beethoven’s Rondo and the spirited L’isle Joyeuse… Looking forward to Viktoriya’s future recitals! All about Viktoriya. Born in the Ukraine, pianist Viktoriya Papayani was started on the piano by her father, Vladimir Yudilevich, when she was four and studied with him until her family moved to America. 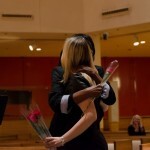 She continued her studies in New York with Nina Svetlanova at the Manhattan School of Music, where she received her Bachelor’s and Master’s degrees in Piano Performance. 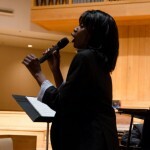 During her summer courses and International Music Festivals in Canada and Europe she received coaching from Dina Ioffe, Dmitry Paperno and Carlos Turriago. Ms. Papayani has received various honors and awards in many European countries, including Ukraine, France, and Italy and has performed in Europe, Canada, and the United States. 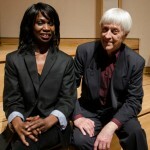 She was presented at the Weill Hall of Carnegie Hall in her New York recital debut by Artists International as a recipient of its Special Presentation Award. Besides being a classical pianist Viktoriya Papayani is also an actress, who has been a part of more than twenty five theater productions, including Shakespeare. Currently, Viktoriya teaches piano at the Future Artist Studio and is an organist and choir director of St. Thomas’ and St. Elizabeth’s Episcopal Churches on Long Island. 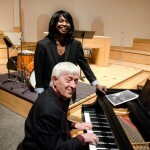 She continues giving piano recitals in the US and Europe and makes piano recordings. Future engagements include a concert tour in the fall of 2014 in Finnish Lapland as a part of September Fest. With her 2012 debut novel Memory of Water (Teemestarin kirja, Teos 2012) Emmi Itäranta established herself as a major force on the Finnish literary scene. In addition to earning Itäranta several awards such as the Kalevi Jäntti Literary Prize for young authors (2012) and the Young Aleksis Kivi Prize (2013), Memory of Water has been sold in 14 languages to date around the world. HarperCollins will publish the book in the UK in May and in the US in June of 2014. Itäranta will visit New York during the last week of May to celebrate the US launch of the novel and appear at Book Expo America for an advance signing on May 31st. In addition, Finland Center is inviting members to attend a meet-and-greet dinner in honor of Emmi Itäranta at the downstairs restaurant of the Salmagundi Club on Friday, May 30th. Itäranta will discuss the process of creating Memory of Water, which she wrote simultaneously in Finnish and English, read a passage from the novel and share her experiences of generating this global breakthrough. 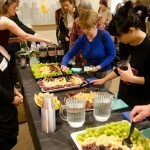 Attendees can then freely chat with Itäranta and enjoy a dinner together (a full menu, with prices ranging from $15 to $30 for a main course, will be available). About the book. Set in a dystopian future where water has become a prized commodity, Memory of Water tells the story of 17-year-old Noria who is set to become the next tea master in her village. When her father dies, she assumes the dangerous responsibility of guarding a hidden spring. 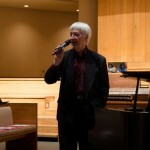 On April 3rd at Saint Peter’s Lutheran Church in New York City, Heikki Sarmanto’s ensemble revived “The Magic Songs”. This is a musical collaboration between Heikki Sarmanto – noted Finnish composer, pianist, and by now a jazz legend in Finland – and Jeannine Otis, vocalist. It explores the poetry of Eino Leino as translated by the late Aina Swan Cutler through Mr. Sarmanto’s music. These songs, first performed and recorded in 1980, have become classics and are listened to all over the world. The collaboration between Mr. Sarmanto and Ms. Otis highlights the best of the possibilities of cultural exchange. 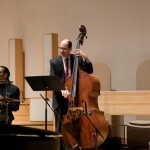 At the Hymn to the World concert, the music was enhanced by the addition of two New York musicians: Bim Strasberg on bass and Greg Bufford on drums. Deputy Executive Director Lakshmi Puri receives the check from Jaana Rehnstrom. The event was supported by The Arts Promotion Centre Finland, The Finnish Performing Music Promotion Centre, Suomi-seura, the Consulate General of Finland in New York, the Finland Center Paul Tirri Fund and the Samuel Rubin Foundation. The net proceeds, $2003, were awarded to UN Women for their work.